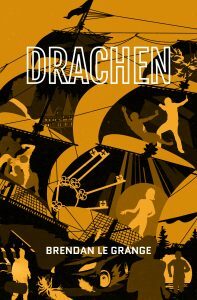 Brett Rivera has spent three years searching for the Drachen. The day she finds it is the day her life changes: there is no sign of its legendary treasure and now a cold-blooded killer is hunting her. What does he know that she doesn’t? Brett is chased in Finland, double-crossed in Tallinn, abducted in Lübeck, and shot at in Bremen as this action-packed thriller dashes across northern Europe, barely pausing for breath. A shipwreck. A lost treasure. A hell of a race from one to the other. Brendan le Grange lives in Hong Kong with his beautiful wife and daughters, writing high-paced action thrillers when his day job allows. Luckily, that day job also allows him to travel to the exotic locales in which those books are set.